Been snooping around the forums and you lot appear like a nice bunch of peoples I need a bit of help.. I want to shuv a nice, big turbo onto the M50! Never installed a turbo before but sounds fun so I'm going for it! I'm not changing the internals of the engine as I've been told by many people, the big cast iron block can take a good thumping. I guess my main question is, What Turbo? I'm open to ALL suggestions as anything you have to say to me I'm going to be learning from! I do fancy a nice T3/T4 hybrid as there seems to be quite a bit of support manifold wise for my eninge. I'm coming stuck getting it to all fit though as, my car being RHD my steering box is going to be almost touching the manifold so I need a manifold that allows the turbo to be up near the rocker cover! again, any suggestions/advice to achieve this? Welcome! 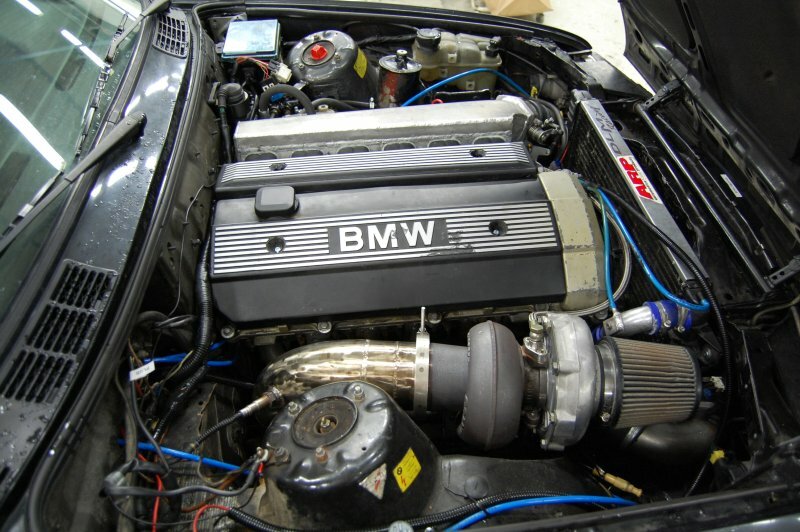 A lot of the M50 builds I've seen on Bimmerforums have been using GT30 series turbos for relatively low boost; the T4/T3 hybrid turbos are usually meant for somewhat smaller engines. Anyone looking for a CRX in the london area? Quick Reply: Hello From London!